Elegantly update your living room with a fireplace makeover. The fireplace is the heart of the living room. We gather by the fireplace to relax. Families share time, exchange Christmas gifts, and entertain guests. We revel in the gentle warmth on cold winter nights. Also, we toast marshmallows and roast chestnuts. In fact, many families incorporate the fireplace into their entertainment. We are headed into the long fall and winter months. 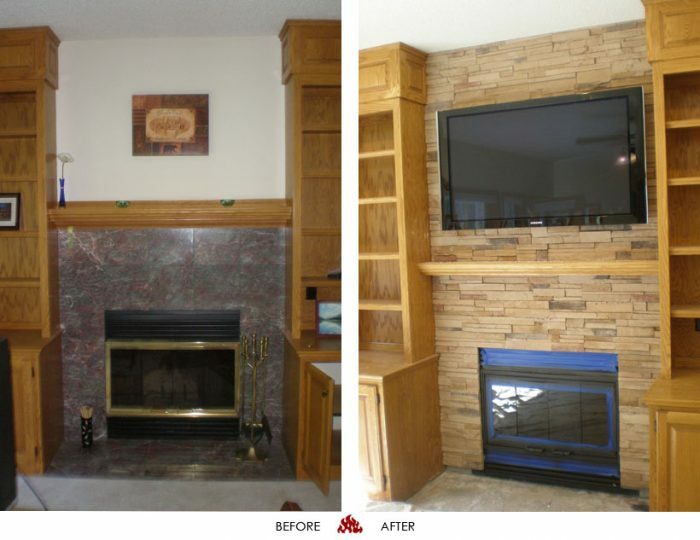 Make your fireplace into the showpiece you deserve. Turn your living room into that cozy retreat you desire! Indeed, the fireplace has progressed. Once, it was a rustic necessity. It was merely a means to survival. Our ancestors built a pit in the dirt floor. Then, they cut a small hole in the ceiling for smoke to escape. Today’s fireplaces are grand. In fact, not all even burn wood. 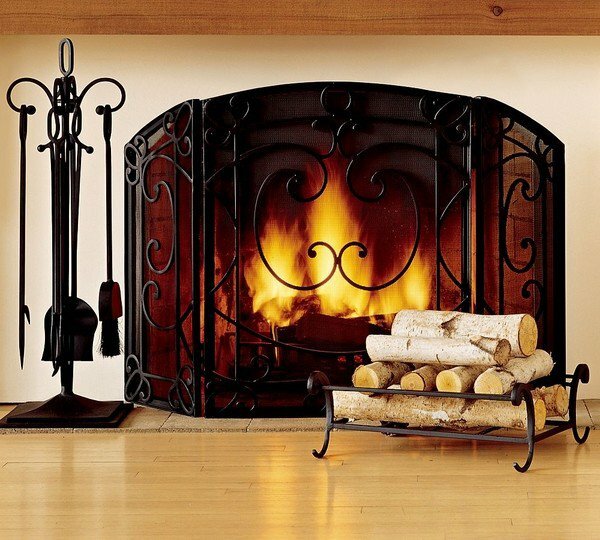 Many homeowners choose gas or electric fireplace. Indeed, these are an almost care free option. These people enjoy the elegance and warmth without the wood. Unfortunately, many of us have homes built in past eras. Although we have working fireplaces, some are just not pretty any more. On the other hand, some have fireplaces are pretty but lack wow! 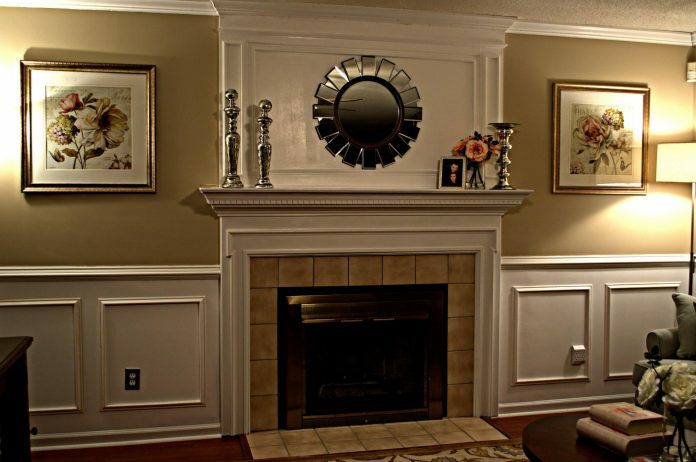 An outdated fireplace is not inviting. Certainly, you want beauty whether you have a gas, wood, or electric fireplace. 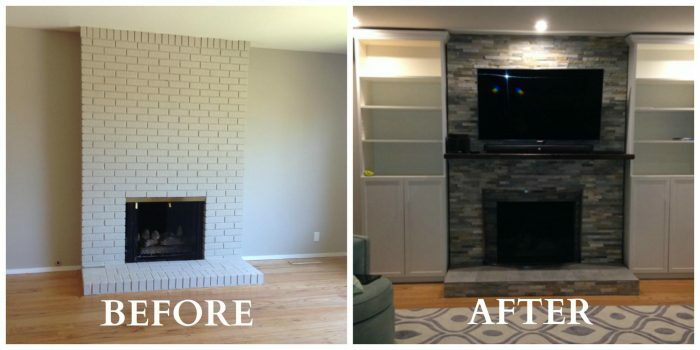 A fireplace update can transform your space. Most certainly, this is a job most often left to professionals. This is not a DIY job. Fireplaces can be tricky. A professional will inspect your flue for cracks, repair masonry, recommend neglected maintenance, and correctly install decorative elements. After all, you will want to ensure safety. 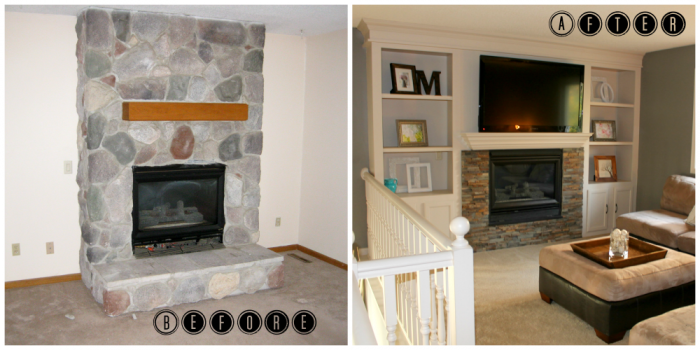 Today, I am sharing some fireplace before and after photographs that I hope will inspire you to start a fireplace makeover before the winter. Certainly, you want your fireplace to be a focal point. Consider built in shelving. Adding shelves broadens your focal point. It makes the fireplace look grand. Also, shelves lend themselves to accessories. 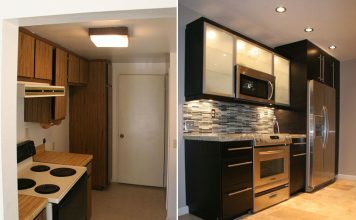 In addition, the built-ins are custom and one of a kind to each home. 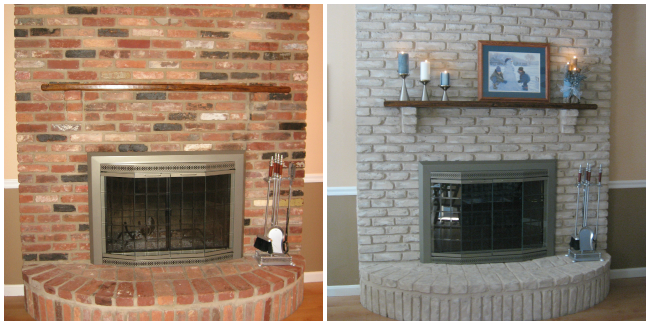 Sometimes, you may need to replace your wood burning fireplace. You may have chimney issues. Or, you live in a city and it’s not practical to haul firewood. This may call for a conversion from wood to a gas log fireplace. Of course, if you are converting to gas logs you will have a contractor. Also, the contractor can re-face the fireplace. 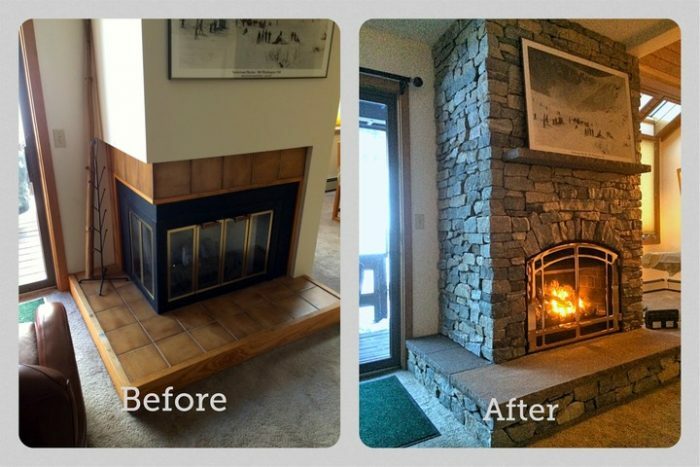 Re-facing takes the fireplace to a whole new level of fabulous! Finally, consider painting your bricks. Of course, you still need to ensure your fireplace is in safe working order. However, this is a budget friendly option. You have only the cost of the paint. There are several paint options for bricks. Specifically, find one for fireplace bricks. You will need the paint to withstand the heat. This project is fairly easy. Better yet, you can do this yourself! It doesn’t take very long. However, the time you spend is worth it! Complete your fireplace makeover with charming accessories. 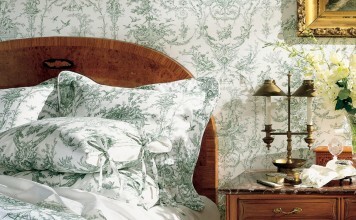 Of course, you will choose accessories that add character. Fortunately, your local retailer offers a large selection of hearth rugs, candles, and decorative pieces to add modern flair. Conversely, antique shops offer traditional and rustic pieces. 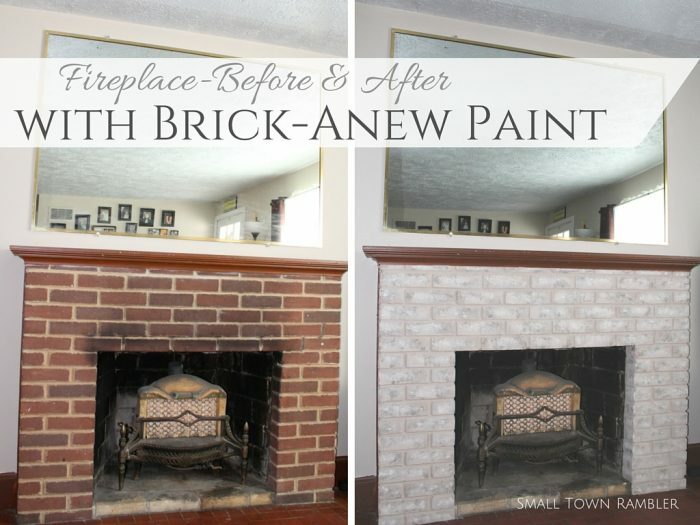 Take your fireplace and update it to make it your own. 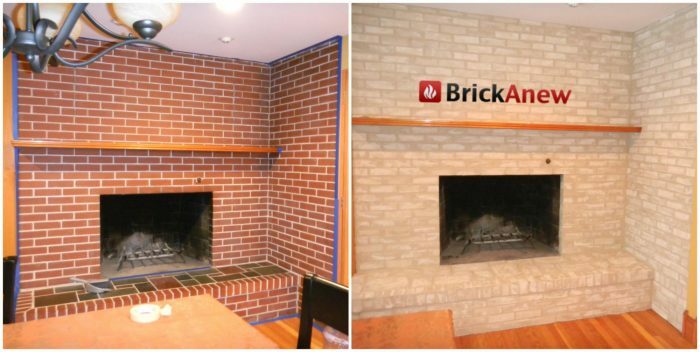 Indeed, a fireplace makeover will add your personal stamp to your space.